We use several methods to help patients relax for their appointments. We have a wonderful, friendly staff. We bake fresh bread daily to give the office a nice aroma. We have 50” LCD televisions in each operatory to keep our patients minds occupied from dentistry. Aside from providing a warm, calming atmosphere, we use sedation dentistry to make any patient feel completely relaxed and comfortable. 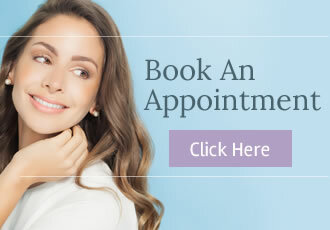 With sedation dentistry, we can treat you comfortably and restore your confidence of having a healthy, beautiful smile. Please go through this site to learn more about us, our office and about how sedation dentistry can benefit you. 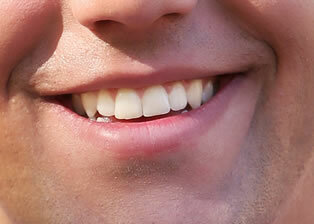 Dr. Hakimi and Dr. Ebon offer sedation dentistry in Westlake Village. Call (805) 497-9585 to discuss pain free general and cosmetic dentistry including oral conscious, IV and Nitrous Oxide sedation. 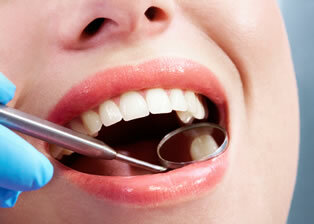 Sedation dentistry is a broad term that includes any type of sedation used in dentistry to alleviate fear & anxiety. It is sometimes referred to as “sleep dentistry”. Sedation dentistry is often used during long dental procedures that require an extensive amount of time in the treatment chair. Sedation dentistry is ideal for patients who have dental anxiety, a strong gag reflex, or those who simply wish to have more extensive dental treatment in a shorter time and with fewer appointments. Is a form of light sedation whereby you breathe nitrous oxide -otherwise known as “laughing gas”- combined with oxygen through a mask that is placed over your nose. The gas helps you relax. Your dentist can control the amount of sedation you receive, Nitrous oxide is the lightest level of sedation, and is eliminated from the body almost immediately after a patient stops inhaling the gas. The patient is able to drive to and from the office themselves. Is a form of minimal oral sedation using only one type of sedative medication, typically Halcion (Triazolam). Halcion is a member of the same drug family as Valium, and it’s usually taken about an hour before the procedure. The pill will make you drowsy and relaxed, although you’ll still be responsive. Because the medication lingers for several hours, someone will need to drive you to and from the office. Oral sedation is a more moderate form of oral sedation than anxiolysis. Like with Anxiolysis, Halcion is used, but typically in larger doses and in combination with other medications in the same family of drugs. This is the type of sedation most commonly associated with sedation dentistry. Some people become groggy enough from moderate oral sedation to actually fall asleep during the procedure. They usually can, though, be awakened with a gentle shake. 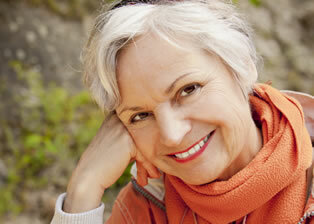 Most people have very little memory of their dental procedure afterwards, as the medications have an amnesic affect. During Oral Sedation, the patient is continually monitored using a device that measures heart rate, blood pressure and blood oxygen levels. As with Anxiolysis, someone will need to drive you to and from the office. This is an even deeper level of sedation than oral sedation. You receive the sedative drugs through a vein, so it goes to work very quickly. You will get medications that will make you totally unconscious -deeply asleep- during the procedure. While you are under IV sedation, you cannot easily be awakened until the effects of the anesthesia are reversed with other medications. You will be thoroughly monitored throughout the procedure, and someone will have to drive you to and from the office. Regardless of which type of sedation you receive, you’ll also typically need a local anesthetic -numbing medication at the site where the dentist is working in the mouth- to relieve pain if the procedure causes any discomfort. The cost of sedation dentistry varies depending on the type of sedation used , length of the appointment, and monitoring devices used. Simple sedation with Nitrous Gas or Anxiolysis can cost as little as $150 per visit, while deeper IV sedation can cost over $1,000 per visit. When you come to our office for a consultation, your treatment options, sedation options and costs will be discussed with you in depth. We will arrange your treatment plan to best fit your budget, and even arrange for financing if desired. Dental anxiety can also turn into severe dental phobia, making a dental appointment an overall horrific experience. People with severe dental phobia are terrified and panic-stricken when it comes time to see the dentist and they often avoid the dental appointment completely. If they do force themselves to go, they usually do not sleep the night before and are extremely anxious on arrival at the dental office. With sedation dentistry, even the most fearful patients can be comfortably treated. Often times, years of neglect can be repaired in just a few appointments, and the confidence of a healthy, beautiful smile can be restored. 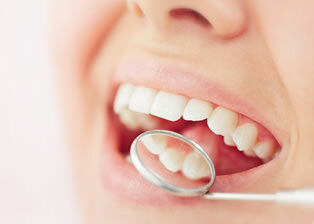 Sedation dentistry is a broad term that includes any type of sedation used in dentistry to alleviate fear & anxiety. It is sometimes referred to as "sleep dentistry”. Sedation dentistry is often used during long dental procedures that require an extensive amount of time in the treatment chair. Sedation dentistry is ideal for patients who have dental anxiety, a strong gag reflex, or those who simply wish to have more extensive dental treatment in a shorter time and with fewer appointments. Nitrous Oxide- Is a form of light sedation whereby you breathe nitrous oxide -- otherwise known as "laughing gas" -- combined with oxygen through a mask that is placed over your nose. The gas helps you relax. Your dentist can control the amount of sedation you receive, Nitrous oxide is the lightest level of sedation, and is eliminated from the body almost immediately after a patient stops inhaling the gas. The patient is able to drive to and from the office themselves. Anxiolysis- Is a form of minimal oral sedation using only one type of sedative medication, typically Halcion (Triazolam). Halcion is a member of the same drug family as Valium, and it's usually taken about an hour before the procedure. The pill will make you drowsy and relaxed, although you'll still be responsive. Because the medication lingers for several hours, someone will need to drive you to and from the office. Oral Conscious Sedation- Oral sedation is a more moderate form of oral sedation than anxiolysis. Like with Anxiolysis, Halcion is used, but typically in larger doses and in combination with other medications in the same family of drugs. This is the type of sedation most commonly associated with sedation dentistry. Some people become groggy enough from moderate oral sedation to actually fall asleep during the procedure. They usually can, though, be awakened with a gentle shake. 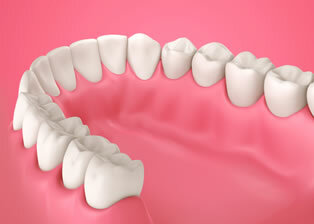 Most people have very little memory of their dental procedure afterwards, as the medications have an amnesic affect. During Oral Sedation, the patient is continually monitored using a device that measures heart rate, blood pressure and blood oxygen levels. As with Anxiolysis, someone will need to drive you to and from the office. IV Sedation- This is an even deeper level of sedation than oral sedation. You receive the sedative drugs through a vein, so it goes to work very quickly. You will get medications that will make you totally unconscious -- deeply asleep -- during the procedure. While you are under IV sedation, you cannot easily be awakened until the effects of the anesthesia are reversed with other medications. You will be thoroughly monitored throughout the procedure, and someone will have to drive you to and from the office. How long am I going to be relaxing? 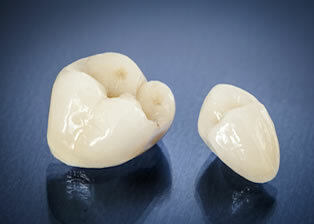 This is going to vary depending on your treatment needs and the type of sedation we will be using. We may have you sedated in our office for anywhere from less than an hour up to several hours. With nitrous oxide, the effects dissipate almost immediately once you stop inhaling it. With the other forms of sedation, the effects will linger throughout the day, and it is important to rest at home for the remainder of the day following treatment. Will it be OK for me to drive to or from my appointment? Not with Anxiolysis, Oral Sedation or IV Sedation. We will require that a trusted friend or family member accompany you to and from your appointment. Not only should they be driving for you, but they should be available to watch you for the remainder of the day, as the effects of the sedation will linger for several hours. It is important to realize that even though you may feel great right after the appointment, you are still under the effects of the medication. You should also remember that you are NOT allowed to operate a vehicle or any type of machinery until the medication has fully worn off by the following day. Lastly, you should avoid carrying out tasks that require you to be coordinated. This includes tasks such as climbing stairs, exercising, etc. The cost of sedation dentistry varies depending on the type of sedation used, length of the appointment, and monitoring devices used. Simple sedation with Nitrous Gas or Anxiolysis can cost as little as $150 per visit, while deeper IV sedation can cost over $1,000 per visit. When you come to our office for a consultation, your treatment options, sedation options and costs will be discussed with you in depth. We will arrange your treatment plan to best fit your budget, and even arrange for financing if desired. 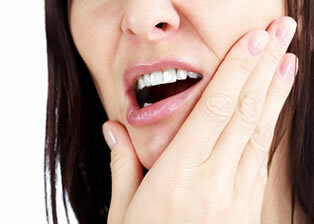 Dental anxiety is a common problem that can be severe enough to keep you from getting the dental care that you need. We offer sedation options that can help you feel calm and relaxed throughout your appointment. Our sedation dentistry cost in Westlake Village can vary based on the type of sedation you need and the extent of the treatment process. At your consultation, we can explore your sedation options. You may benefit from sedation if you have a low pain threshold, have sensitive teeth, have a strong gag reflex, need several treatments or a complex treatment or if you experience anxiety or phobia when it comes to a dental visit. Our Westlake Village sedation dentistry cost is affordable enough to allow adults to get the treatment they need with little or no stress, little or no memory of the appointment, little or no pain and with fewer visits. You can even have multiple treatments performed at the same time to limit how long you are in the dental chair. If you are a candidate for sedation dentistry, we will explain your options and make recommendations based on your comfort level. Nitrous oxide, or laughing gas, is a common choice that gives you a light level of sedation. 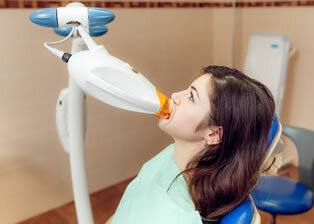 Most people feel pleasantly relaxed with just Nitrous oxide alone. We can control the amount of sedation that you receive for maximum results, and because the gas is almost immediately eliminated from your body, you can even drive yourself home. 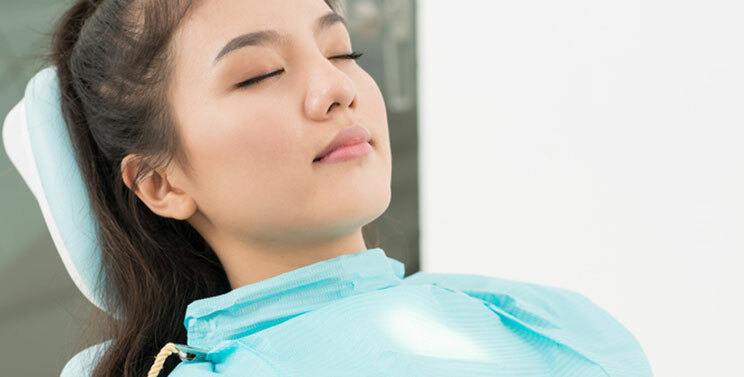 Our sedation dentistry cost in Westlake Village can also include other types of sedation, including more moderate oral sedation, which uses oral anti-anxiety medications to ease your feelings of anxiety and make you sleepy. This make the appointment feel like it went by more quickly, easily, and provides an amnesic effects, so you have little, if any, recollection of your entire treatment. IV sedation is the strongest form of sedation which works quickly and effectively to get you completely asleep throughout the entire procedure. With this option, a highly trained anesthesiologist will monitor you the entire time as our sedation dentist works to give you the beautiful, healthy smile you deserve. 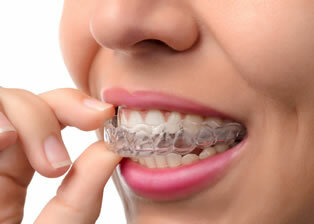 You will sleep restfully through the entire procedure and won’t have any memory of the dental work you had done. Your level of anxiety, preferences, physical and dental health needs will all be considered as we determine the best type of sedation dentistry for your needs. Give us a call today to learn more about our Westlake Village sedation dentistry cost or to schedule an appointment with our dentist. Inhaled sedation is a popular type of light sedation that can calm and relax you throughout your dental appointment. It goes to work quickly, and it leaves your system nearly as fast so that you can drive yourself home without worry. Our expert in inhaled sedation in Westlake Village can help you decide if inhaled sedation is right for you. Unlike other forms of dental sedation, inhaled sedation uses a mask that is placed over your nose. A special mix of oxygen and nitrous oxide is administered through this mask. You will be instructed to breathe through your nose, and the gas will begin to take effect within a few minutes. Our expert in inhaled sedation in Westlake Village will be able to adjust the concentration of nitrous oxide as needed throughout your treatment so that you get just the right degree of sedation. Nitrous oxide, which is also known as laughing gas, often makes people feel calm, relaxed or even a little drowsy. It is quickly eliminated from your body, and we will switch you to oxygen to speed up the process once your treatment is complete. You will not need a ride to and from our office, and you will get exactly the level of sedation that you need to feel comfortable. Inhaled sedation has been used in dentistry for many years and has a long and well-established record of safety. Although it is one of the lighter levels of sedation, inhaled sedation is still extremely effective for patients with dental anxiety or phobia. It allows you to get the treatment or procedures you need with minimal stress, complete multiple treatments at once and have little or no discomfort. Contact our office today to find out more about your sedation options or to schedule an appointment with our Westlake Village inhaled sedation expert. Sleep dentistry is a type of dentistry that uses sedatives to calm and relax anxious patients so that they can get the treatment they need without any unwanted fear or anxiety. Also known as sedation dentistry, it can be a great option for many patients and not just those with phobias or anxieties. Our expert in sleep dentistry in Westlake Village can help you decide if sedation is right for you. 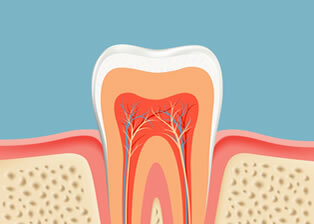 If you are a candidate for sedation dentistry, you may have several different options. Nitrous oxide is often recommended for light sedation. It is administered through a mask that is placed over the nose, and it goes to work quickly so that you can relax almost immediately. Since it is just as quickly eliminated from your body at the end of your appointment, you can drive yourself home. Axiolysis is also available. We prescribe a specific sedative to be taken an hour before your appointment. You will need someone to drive you to and from your appointment because you may feel fairly drowsy and be slow to respond. Our expert in sleep dentistry in Westlake Village may prescribe more than one anti-anxiety medication for oral sedation. This allows you to feel deeply calm and relaxed, and you may even fall asleep during the procedure. Patients who need deeper sedation may benefit from IV sedation, which is administered through the vein. Sleep dentistry allows you to get the treatment you need without stress with minimal discomfort and in fewer appointments. Regardless of the type of sedation we use, you will be monitored throughout the appointment and provided with a local anesthetic to ensure your comfort. Give us a call today to find out more or to schedule your appointment with our Westlake Village sleep dentistry expert.